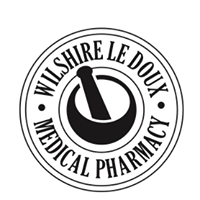 Wilshire Le Doux Medical Pharmacy has been serving the communities of Beverly Hills, Los Angeles, West Hollywood, Hollywood, Hancock Park, Santa Monica, and Cheviot Hills since 2009. Their pharmacy uses the latest technology to ensure optimal patient safety, filling accuracy, and convenience. Their friendly staff will treat you like family. At Wilshire Le Doux Medical Pharmacy, they are dedicated to providing customers with services that are customized to meet their needs. Whether it’s prescription medications or over the counter products, they are here to answer any and all of your questions.